You can now follow companies by clicking on the ‘Follow’ button on the top right of company profiles. All the updates from companies you follow will be shown on your updates page, which accessed by clicking on the Following link on the top bar. 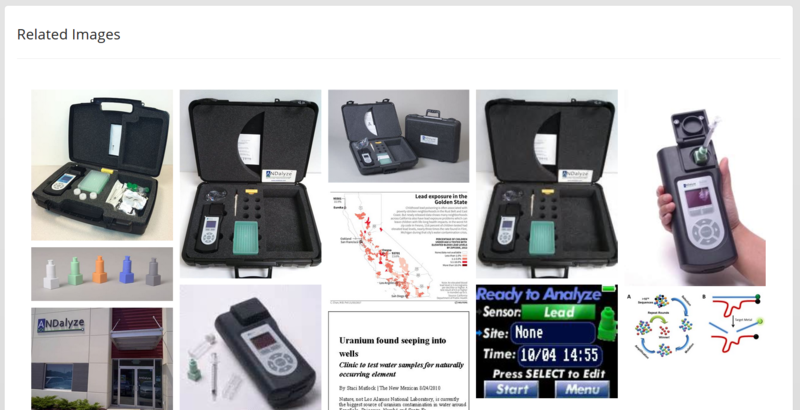 This example is taken from the company Edyza Sensors. 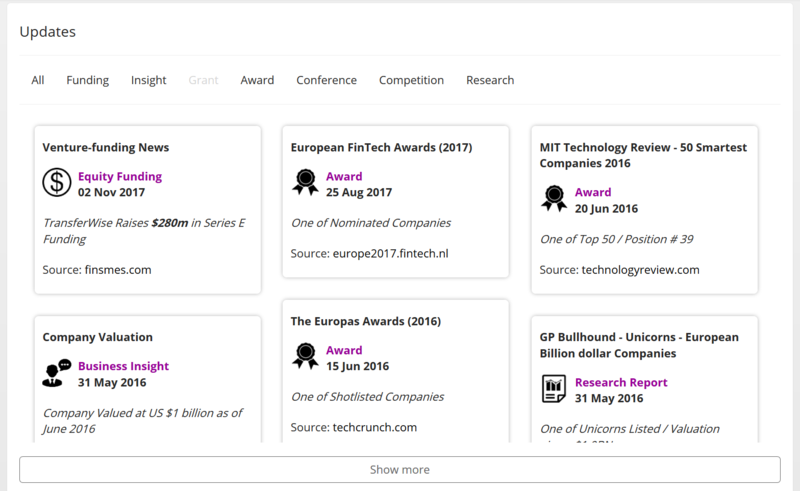 We’ve added a new section on company profiles for key updates, showing the latest updates such as Funding events, Awards, Conference attendances, Competitions participated in, as well as other Insights. This example is taken from the company Transferwise. 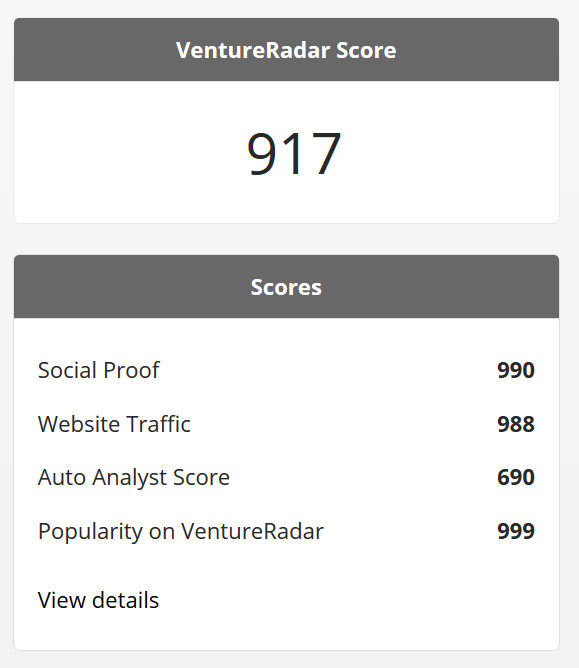 Each company has been given a single overall VentureRadar score as well as the four sub-scores we previously tracked. It’s often useful to have a visual overview of a company’s products or services and we have added a section to company profiles for this purpose. Scan the images to get a quick overview of the company. This example is taken from the company ANDalyze. The overall page layout has been changed so that metrics on each company are shown on the right hand column of the page, while the left portion of the profile is all about discovering the activity of the company.